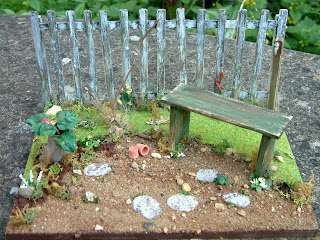 Nostalgia In Miniature Workshops: WELCOME TO NOSTALGIA IN MINIATURE WORKSHOPS BLOG! Apart from being friends we share a passionate interest in creating miniatures that have a real nostalgic feel with that much loved, well used and realistic look. We have been working hard getting our brand new website together which gives all the information on our various workshops. We are very much looking forward to our very first workshop that is being held in two weeks time on June 26th - Over The Little Garden Fence Workshop which is taking place in Thame. This workshop booked up very quickly, therefore we are running it all over again on October 23rd. 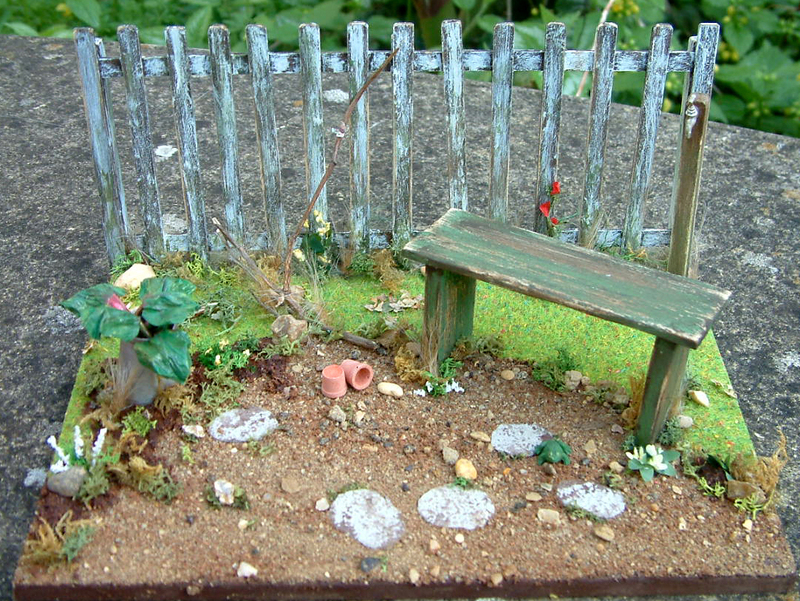 Well done a very professional website, the detail in the little garden looks amazing. Good luck with the workshops... although with your combined expertise and enthusiasm I don't think you'll need it! Thanks from me too - and thanks for your support mates!